Our regular briefings – keep up to date with our regular briefings, including facts and figures about religious broadcasting from a range of sources. If you wish to be notified when this page is updated, please get in touch. “Ofcom’s Children’s Content Review – 31 January 2018. Figures released by Ofcom in 2016 revealed the deep jeopardy facing children’s programming in the UK. The amount of original programming for kids made by UK broadcasters was at its lowest level since 1998 with children’s contents made by commercial broadcasters down 93% since the early 2000s. Echoing the concerns of educators, parents and young audiences, Ofcom has committed to building a “comprehensive view” of the current quantity, range and quality of children’s content in the UK – as well as the impact of changing industry and audience dynamics. As the manner in which audiences – including audiences of young people – access broadcast content evolves, how must provision evolve to match demands for quality, quantity and accessibility? The Children’s Content Review which accepted submissions between November 2017 and the end of January 2018 was designed to help Ofcom assess if and how it might use the power provided in the recent Digital Economy Act 2017, which could see it impose children’s content quotas on ITV, Channel 4 and Channel 5. At the Sandford St Martin Trust, we believe young audiences deserve excellent broadcasting that explores religion, ethics or morality. You can read our submission to Ofcom’s review here. More details about other submissions and Ofcom’s review are here. “Holding the BBC To account for the delivery of its mission and public purposes”: our submission to Ofcom’s consultation – 17 July 2017. 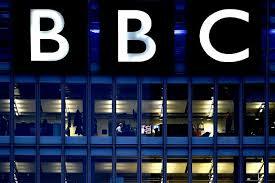 Under the new Royal Charter and Agreement, regulation of the BBC passed from the BBC Trust to Ofcom on 3 April 2017. One of Ofcom’s central responsibilities is to hold the BBC to account for fulfilling its mission and promoting its public purposes. As part of its new responsibilities, Ofcom is required to publish an operating framework containing provisions to secure effective regulation of the BBC. In relation to the BBC’s performance, it must set an operating licence for the BBC, and it may set measures to assess the BBC’s performance. The licence must set out the enforceable regulatory conditions that we consider appropriate to ensure the BBC fulfils its duties. In its submission to Ofcom, the Sandford St Martin Trust welcomes Ofcom’s recognition of religious programming as “core public service broadcasting territory” but urges that the BBC should provide the public with a working definition of what it considers “religious programming” and a strategy that will clearly set out how its broadcast offering will reflect the diversity of faith and belief across the UK and the world, and, the role of faith in the 21st century. 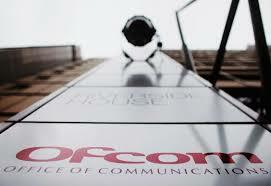 Read our submission to Ofcom here. Read the findings of Ofcom’s public consultation here. “The Sustainability of Channel 4”: our submission to the House of Lords Communications Committee inquiry – 20 April 2016. 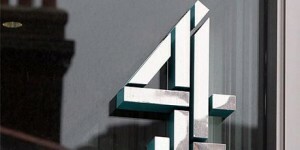 How would privatisation affect Channel 4’s remit and its religious programming? In September last year, a Government official was photographed carrying a document which has led to speculation that the Government is preparing to privatise the Channel 4 Corporation. David Abraham, C4’s Chief Executive has repeatedly warned that privatisation would not just threaten the channel’s current remit but would also damage news, current affairs and documentary output as these genres are less commercially viable. In our submission to the inquiry, we argue why religious broadcasting and a commitment to promoting religious literacy should be key parts of Channel 4’s future. Read our submission to the House of Lords Communications Committee here. Read more about the inquiry here. The Sandford St Martin Trust’s submission to “A Future for Public Service Television” Inquiry – 31 March 2016. The Future of TV Inquiry (aka the Puttnam Inquiry) was set up to consider the nature, purpose and place of public service television today and for the future. It aims to address how public service content can be most effectively nurtured taking into consideration a range of services, platforms and funding models. Taking its cue from the Pilkington Inquiry in 1962 that combined a searing analysis of TV’s public purposes with specific recommendations about how to embed these purposes inside particular channels and institutions, the Inquiry has aimed to examine how best to secure quality content that informs and inspires, entertains and educates, connects and challenges audiences in the 21st century. Read the Trust’s submission here. 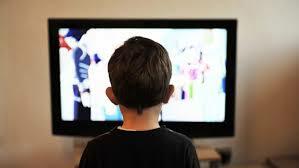 Read more about A Future for Public Service Television here. The Trust’s response to the BBC Charter review Consultation: Tomorrow’s BBC – Creating an open, more distinctive BBC. The results of the Sandford St Martin Trust’s first online poll on Religious, Ethical and Spiritual Broadcasting (May 2015) are published in full. » Download the poll results or read our blog. This issue comprises of the Trust’s submission to Ofcom’s Third Public Service Broadcasting (PSB) Review Consultation made on 26 February 2015. This issue includes information on BBC’s latest Annual Report amongst the normal programme news and reviews. This issue includes news about Ofcom’s new PSB review, details of a new resource for followers of media policy debates, and remembers Jocelyn Hay CBE, founder and President of the Voice of the Listener and Viewer (VLV), who died in January. This issue includes new DG Tony Hall’s vision for BBC’s future, the importance of religious literacy and a round-up of other key news in religious broadcasting. This issue includes Ofcom’s Public Service Broadcasting Annual Report 2012, falls in religious broadcasting, and results from the British Social Attitudes Survey.